Today, most of connected users have webcams. With these digital devices, we can stream HD video to share our experiences – teach, study, and connect with relatives and friends, no matter where they are. Some people even explore creativity via web cameras: you can show a home concert or the development of an art project online. So how can you avoid missing the best moments and keep them, not just in memories but also on your hard drive? The answer is to record a webcam video. 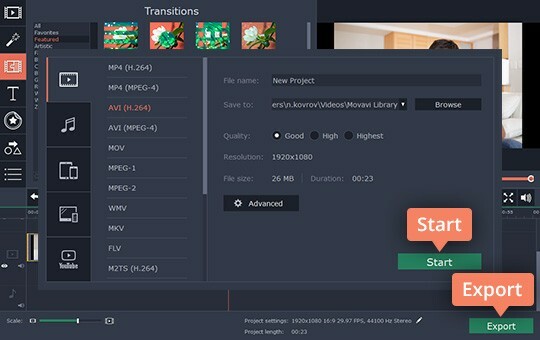 Movavi Video Editor is recording software for PC and Mac that’s great for easy webcam capture. With our step-by-step tutorial, you’ll learn how to take a video with your web camera quickly and save the result in just four simple steps. After downloading, install our video maker following the on-screen instructions. The setup process will take you just a few minutes. In the Editor window find the Record Video button and click it. You’ll see a special capturing app. Let’s start by checking the destination folder. By default, your files will be saved in Movavi Library. To save your files to a different location, specify the destination in the Save files to field. 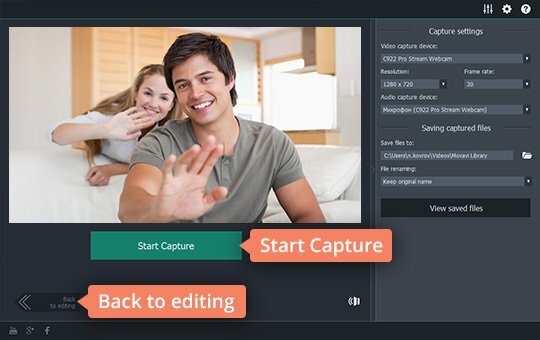 Now click the Start Capture button to start recording your cam video. To stop recording, click the Stop Capture button. Your recorded video will then be saved to the specified directory, which you can open by clicking View saved files. If you want to edit the recording, click Back to editing. This will open the main Video Editor window and the recorded video will be automatically transferred to the Timeline. To save your video, click the Export button and choose the appropriate tab in the upper part of the pop-up window. 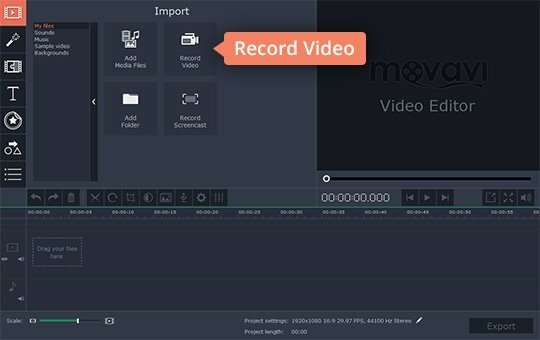 It doesn’t matter whether you want to watch your video on a mobile screen, prepare the video for uploading to the Internet, or just save it for viewing on your desktop computer or laptop – Movavi Video Editor does it all. Once you’ve specified the parameters for saving, click Start. 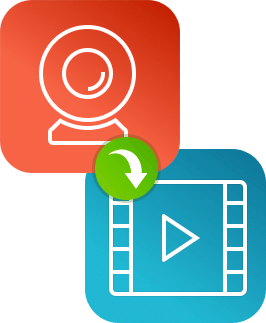 Now you know how to use our webcam recorder to make a video! 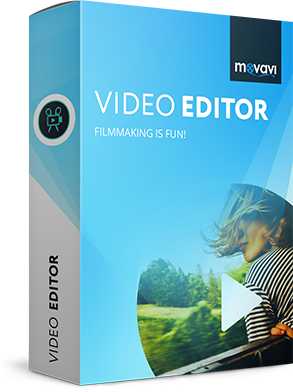 But Movavi Video Editor is more than just webcam capture software. 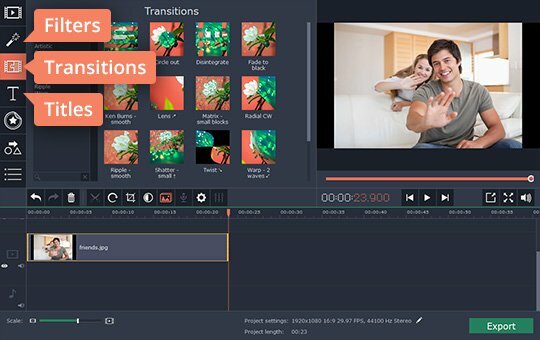 It is a user-friendly multifunctional tool that gives you a ton of useful features for the best video creation results!